Homeschooling is one of the leading causes of mom burnout. It causes burnout because it is more than a task it is a lifestyle. Think about the last time you sat around chatting it up at the coffee shop with a friend. Did the subject of curriculum come up? Did you hint at lesson planning? Did you confess you feel you are failing because your children didn’t complete a timeline? 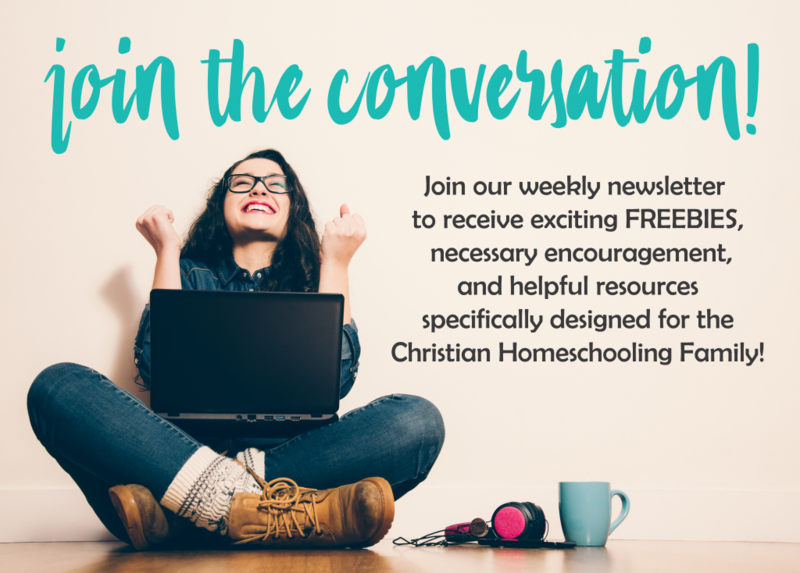 Our lives are infused with homeschooling. We homeschool with our heart and soul because of the love we have for our children. We want the absolute best for them. When the vision we have for homeschooling does not line up with the missed assignments and laundry on the floor then the dissent into the burnout zone begins. First of all, let’s get one thing straight. You are equipped. You are not failing. You are human. Ok, that was three things. We cannot discount the enormity of having your child’s education in your hands. But guess what? Every parent holds that in their hands. You and I just chose to let it stay there. It is just as much a leap of faith to allow a stranger in a school system to teach your child as taking on homeschooling. I have met some wonderful teachers that I would trust completely. I have also met some teachers that need a new profession. Now on to you…what qualifies you to be your child’s teacher? You are uniquely qualified to teach the child that God gave you charge over. The Lord will guide you and lead you…just make sure you are following. Now that we got that out of the way. Another thing you need to understand is that experiencing burnout doesn’t mean you should not homeschool. Have you heard that before? Do you hold back from telling your mom, your neighbor, or your nosey friend, that you will scratch your own eyes out if you have to look over one more spelling test for fear they will instruct you to stop homeschooling? Everyone has a tough day at work. A tough day or week or even month does not mean we give up. It doesn’t mean you are not able. It means you are human…as we covered previously. When your husband comes home from work burned out do we tell him to quit his job? This begs the question, can homeschool burnout be prevented? We can certainly hold it off until our next scheduled break with a few simple steps. Step 1: Stop the comparison game. You run your homeschool as you see best for your family. The mom who appears to have perfectly polished kids with a schedule like a drill sergeant only appears that way on social media. Believe me under her contoured chicks she has her own set of issues. We all do. Comparison crushes joy. Step 2: Plan a realistic schedule. Don’t plan your ideal. Don’t plan what you think you should do to qualify as a homeschooler. Plan your days around the natural flow of your home. If you have a new puppy, your kitchen is being remodeled, you have a toddler, or you are not a morning person, you need to plan accordingly. Do not plan against the natural flow or you will fail. Step 3: Take regular breaks. Do not neglect yourself. Yes, you have heard that before and you need to hear it again. Take breaks for you and have your kids take breaks from you and their siblings. Sometimes there is simply too much closeness. Take an hour in the afternoon for everyone to get some alone time reading. You certainly can take breaks together at the park or playing games or even a field trip. Even a simple change of routine or scenery can get everyone back on track. Ok, now is the the toughest part. Do NOT be afraid to take a break because a lesson may not get done. If you are burned out or your kids are stressed that lesson won’t get done anyway. Here is a gift just for you! So, you have days when you need a mental health day but the kids need to be kept busy or keep working on school. Let’s not forget that homeschool moms get sick also. So what do you do when you need a day off to get back your sanity or because you are sick? Your day doesn’t have to stop. Plan ahead and you and your kids will be much better off for it. The printable pack below is just for you to plan ahead for such times. In it you will find 12 printables designed to help you plan a productive day even if you have to take the say off. This is perfect for letting dad or a grandparent take over for a day. You see, if you get to the point that you are burned out or you are sick…it is often hard to think of a way out or a way to allow the kids to be productive. This planning toolkit will solve that for you. You can plan ahead by filling out the pages for mom approved movies, crafts, activities, and much more! Fill out a mini lesson plan or fun places to go. This is helpful when you need a break but can’t think straight or dad or a grandparent wants to help out! Don’t delay. Get your copy now and plan for a smoother school year. Click below to get the Homeschool Mom’s Burnout & Sick Day Toolkit! FREE Brainy Days Calendar: Thanksgiving Edition is HERE!